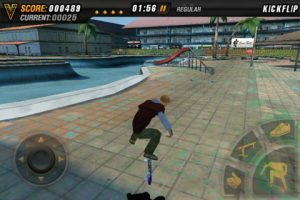 Published by Ratrod Studio, Mike V: Skateboard Party HD is a high-def 3D skateboarding adventure for both iPhone and iPad that pays tribute to the famous East Coast skater Mike Vallely. Featuring a hard rockin’ soundtrack and slick visuals, Mike V immediately sets itself out as a polished and professional skateboarding title. 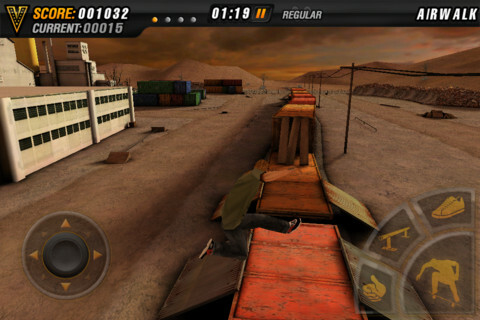 The game features 8 different riders to choose from, each with their own unique attributes and customizable clothes. You can change t-shirts, switch kicks and even hand-pick your own board, trucks and wheels. Mike V: Skateboard Party HD features fully 3D urban environments with bowls, ramps, half-pipes and rails in a number of original locations from an abandoned industrial back-lot to a custom indoor skatepark. Each level offers something different in terms of terrain and challenge. There are 40 unique tricks to learn and the potential for some serious combos to rack up those high scores and achievements. Jump into Career Mode to advance through the stages and upgrade your character or choose Free Skate for the opportunity to skate freestyle. And the controls are dead easy – the game has support for both analog stick or accelerometer, with every button completely customizable. Mike V: Skateboard Party HD also features a solid multiplayer for competing with friends over Wi-Fi or Bluetooth for bragging rights. 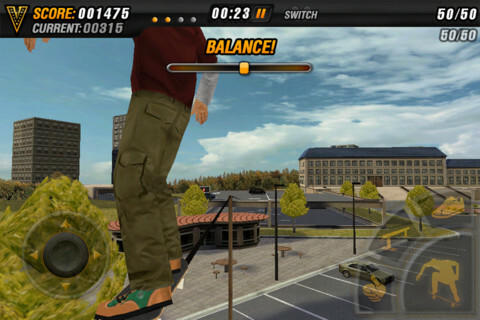 Mike V: Skateboard Party HD is compatible with iPhone 3GS, iPhone 4, iPhone 4S, iPod touch (3rd generation), iPod touch (4th generation) and iPad. Requires iOS 3.2 or later. A small expedite fee was paid by the developer to speed up the publication of this review.